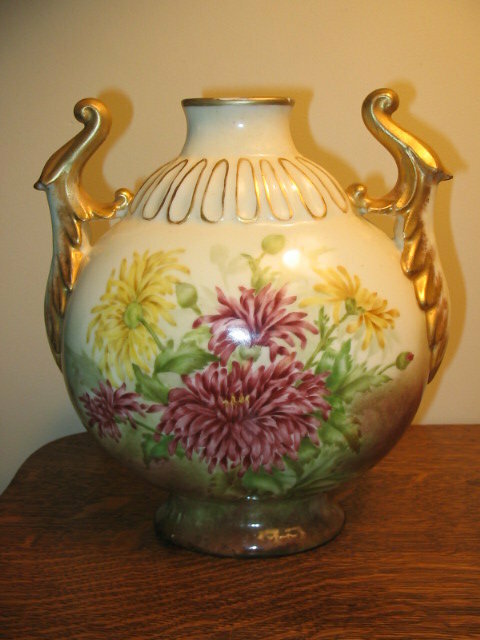 HERE IS A BEAUTIFULLY HAND PAINTED ARTIST SIGNED VASE BY DUVAL. THE ARTIST DUVAL PAINTED FLORAL ARRANGEMENTS FOR A NUMBER OF FRENCH STUDIOS AND IS FREQUENTLY LISTED IN GASTON'S COLLECTORS ENCYCLOPEDIA OF LIMOGES (3RD ED.). AN ILLUSTRATION OF HIS WORK WITH MUMS IS SHOWN ON PAGE 86. 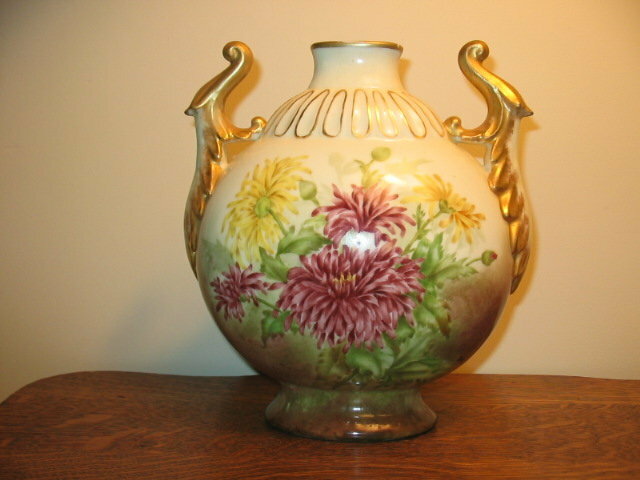 THIS VASE FEATURES GORGEOUSLY PAINTED MUMS IN BRIGHT YELLOW AND CRANBERRY SHADES. THERE ARE NO CHIPS CRACKS HAIRLINES OR REPAIRS. THE GOLD IS SPONGE APPLIED PAINTED ON THE HANDLES AND NOT WORN. THERE IS ONLY A SLIGHT GOLDWEAR ON THE TOP RIM. 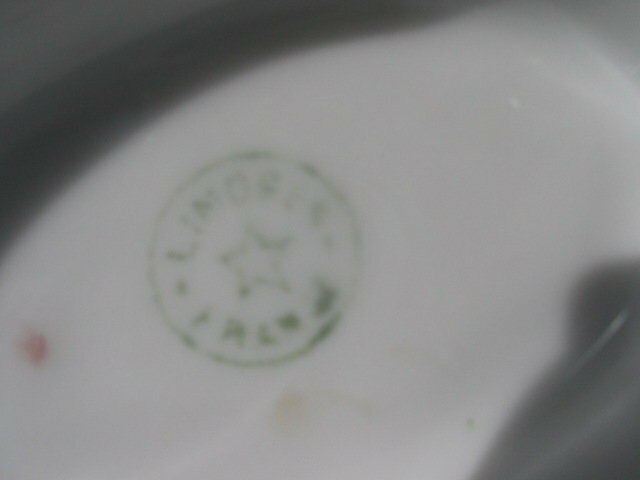 LIMOGES FRANCE MARK 1 IN GREEN UNDERGLAZE. 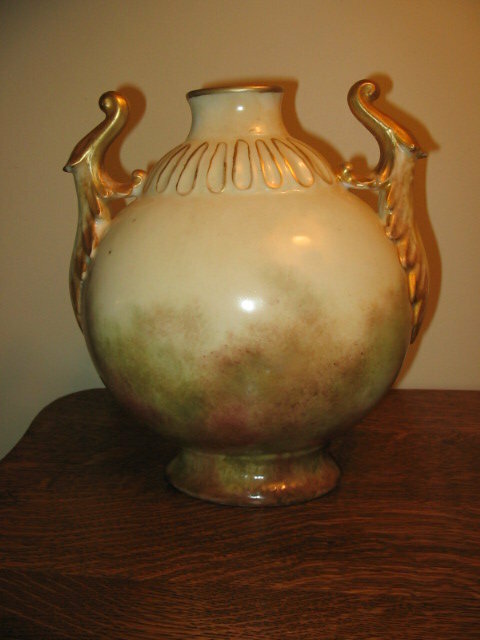 Items Similar To "EARLY ARTIST SIGNED LIMOGES VASE"